When drawing up any document for filing in New York it is important that all the elements required by the relevant section of that particular law be present, as any omission would probably result in rejection. Of equal importance is having the completed document executed by the proper individual whose title is acceptable to, or specified in, the statute. Certificates of Incorporation must be signed by at least one incorporator, with the name of the incorporator typed or printed beneath the signature. The name and address of the incorporator must always be stated, either beneath the signature, or in an article specifically written for this purpose in the body of the document. All other corporate certificates must be signed by an officer, director, authorized person or attorney-in-fact, unless otherwise specified in the section providing for such certificate. Articles of Organization must be signed by an organizer. All other LLC certificates must be signed by a member, manager, authorized person or attorney-in-fact. Certificates of Limited Partnership must be signed by all of the general partners. Certificates of Amendment must be signed by at least one general partner and by each other general partner designated in the Certificate of Amendment as a new general partner. In a situation where a sole general partner withdraws and a new general partner is admitted, if the date of withdrawal is in the future, both must sign. 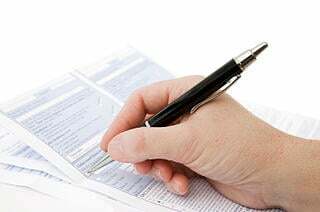 If the date of withdrawal is in the past, only the new general partner must sign. All other LP certificates must be signed by at least one general partner. Any certificate may be signed by an attorney-in-fact. For a corporation—must be signed by an officer, authorized person or attorney-in-fact. For a limited liability company—must be signed by a member, manager, authorized person or attorney-in-fact. For a limited partnership—must be signed by a general partner, authorized person or attorney-in-fact. The name and title of the signer must be printed or typed beneath or opposite any signature. Conformed signatures (typed signatures) are acceptable for any filing. Execution by an attorney-in-fact will require that the following be noted beneath the signature: the name of the person for whom the attorney-in-fact is acting and the relationship of that person to the entity being filed. Whether a document to be filed with the New York Department of State is simple and basic or complex in nature, proper execution is essential and the above tips may help prevent delays and rejection.